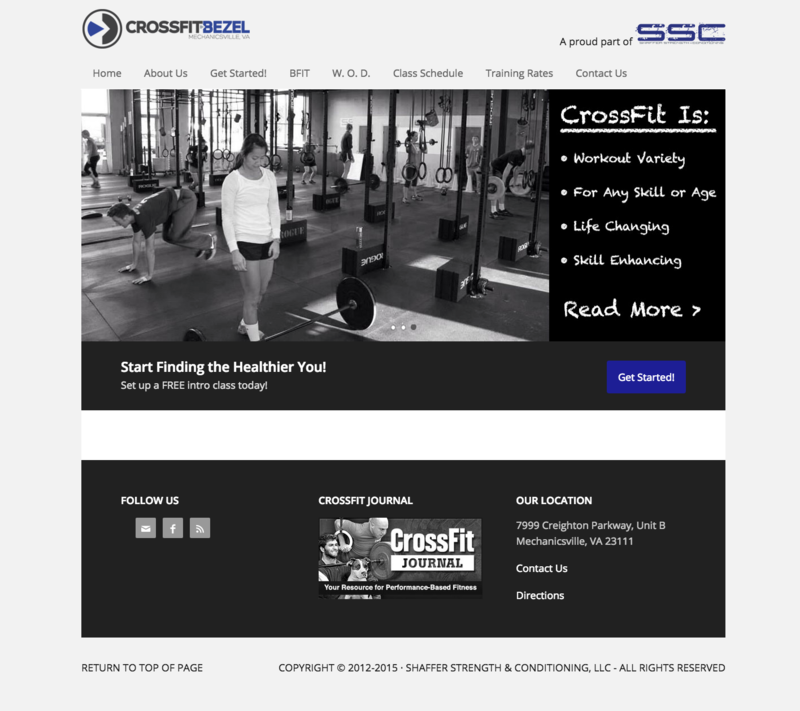 CrossFit Bezel / Shaffer Strength & Conditioning is a growing CrossFit & Strength & Conditioning Gym in Mechanicsville, Virginia. They offer a variety of health and exercise services for high school, college and pro athletes as well as regular folks looking to get healthier, stronger and more confident. They wanted a simple & clean website design that was responsive & mobile friendly as well as simple to manage. Both websites are built to support and grow their community without overwhelming or distracting the audience. We are also launching a custom design and developed kiosk for their facility to support and manage the merchandise they sell in-house. Custom WordPress plugins were developed to support the kiosk as well as integrating variations of the same photos and content into the main website. This is another example of the personal approach & long-term partnership we like to help grow with and support.